Haitians rally outside U.S. Citizenship and Immigration Services offices in Miami last week to urge extension of Temporary Protected Status. People can debate whether Haiti has adequately recovered from the quake – and from other natural and political disasters since then – and whether it's ready for TPS recipients to come back to. I think those who argue it isn’t ready have made a more thorough and convincing case. That includes the salient point that denying Haiti the millions of dollars in remittances that TPS recipients send home every year would be a punch in the gut to the very Haitian recovery the U.S. wants to see. But after seven years of regular, 18-month extensions, Haitians now face an anti-immigration Trump Administration that believes America is making a mockery of the “temporary” in TPS. The “extension” Homeland Security Secretary John Kelly announced this week is only for six months – and Kelly made it clear it’s just a courtesy, that he expects Haitian TPS recipients to use that time between July and January to get packed for deportation. Which brings me to my question: Did you not know this day was coming sooner or later? Did you really think you'd convince Washington to continue TPS for Haitians forever? Yes, you can assert that it’s inhumane to force people who have legally put down roots in the U.S. to go back to the often dangerous dysfunction of the western hemisphere’s poorest nation. And yes, it was inspiring to see Florida’s congressional delegation – and Wyclef Jean – united in urging President Trump to give those Haitians another 18 months on U.S. soil. But the Trumpites will assert more loudly than a konpa chorus that, for all its humane intentions, this was precisely TPS’ big miscalculation when Congress created it in 1990: The longer people remain here under TPS, the stronger their claim that they can’t return to Haiti, or Somalia, or Honduras, or any of the 13 battered nations currently in the program. Has the Haitian community spent too much time imploring Washington to keep renewing TPS – and not enough time exploring more long-term alternatives? So has the Haitian community spent too much time imploring Washington to keep renewing TPS – and not enough time exploring more long-term alternatives? That’s the feeling of some immigration lawyers I’ve spoken with recently (although they usually express it sotto voce because, in an immigrant-rich community like South Florida, they don’t want to risk being seen as anti-TPS). Instead of working toward an endless temporary status, they point to other directions where Haitians might want to mobilize their energies. Six years ago, the 11th federal circuit of appeals affirmed the Obama Administration’s opinion that TPS recipients are not eligible to change their immigration status to something more permanent like legal residency. That was especially a bummer for TPS holders here, since Florida falls under the 11th circuit’s jurisdiction. But four years ago the 6th circuit court in Cincinnati ruled that TPS recipients, even if they originally came here illegally, are vetted like ordinary legal immigrants in order to receive TPS – and so they can be eligible for adjusted status. Last month the 9th circuit in San Francisco agreed. That might be the kind of appellate back-and-forth that lays the ground for a hearing at the U.S. Supreme Court, provided the right case can be presented. 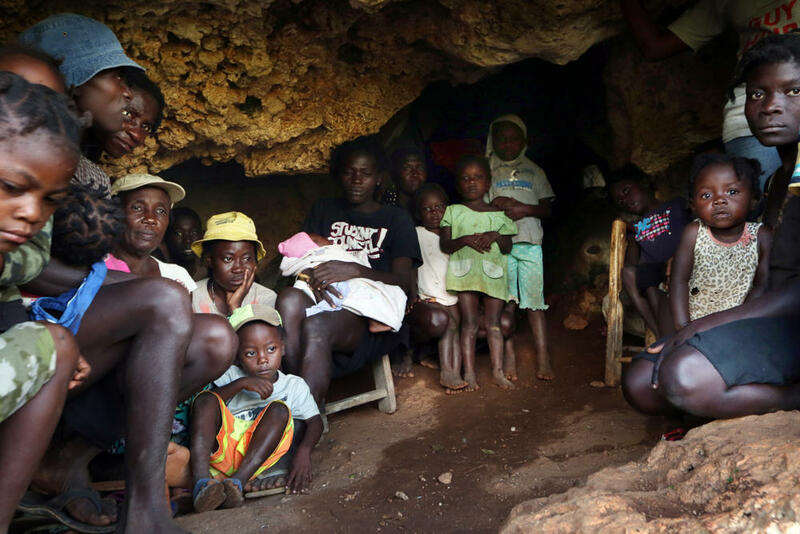 Homeless Haitians, displaced victims of Hurricane Matthew, found living in a cave in southwest Haiti in March. Chances are, even the conservative majority now sitting on the high court will find it nonsensical that we allow de facto asylum-seekers to live here for a decade or more and yet don’t give them the option of becoming legal permanent residents. The justices may find that especially silly if TPS holders have become law-abiding, tax-paying workers, business owners and community fixtures. Another path is Congress. Instead of lobbying Homeland Security for TPS extension every 18 months, should Haitians – and their congressional representatives – be barnstorming Capitol Hill to get the program revised to allow recipients to adjust their status under certain criteria? The point is, Haitians have to find a less temporary flag to rally around than Temporary Protected Status. And from the looks of things, they have about six months to find it.